The 2012 Catholic Education Sunday takes place November 4. The Catholic Bishops of Alberta and the Northwest Territories chose as their theme for this year’s Pastoral Letter “Year of Faith: Embracing Evangelization”. Pope Benedict XVI declared 2012-2013 to be the Year of Faith. On this 2012 Catholic Education Sunday we embrace this grace-filled initiative as an opportunity to be renewed in faith and sent forth in joy to evangelize our school communities with the truth and beauty of the Gospel. Presbyteral Council meetings – November 19 (2:00-5:00 pm, Chancery). Clergy Conferences – November 20 (10:00 am – 4:00 pm, Saint Josaphat Cathedral Parish Hall (Verkhovyna)). The Eparchy of Edmonton will host the “Third Annual Bishop’s Appeal” fundraising event on Thursday, December 6, Chateau Louis Conference Centre, Edmonton. The Appeal aims at providing financial support for the programs and activities of the Ukrainian Catholic Church in Alberta in carrying out the mission of Jesus Christ, that is, to preach the Good News of the Gospel Message. For information and tickets, contact the Chancery Office at (780) 424-5496 or chancery@edmontoneparchy.com. 2013 Canada-wide Clergy, Clergy Wives and Women and Men Religious “Encounter” (Study Days) – June 24-27, Saskatoon; Celebrating the 100th Anniversary of Bishop-martyr Nykyta Budka as the First Ukrainian Catholic Bishop in Canada. The Encounter will be followed by the National Conventions of the Ukrainian Catholic Women’s League of Canada and the Ukrainian Catholic Brotherhood of Canada from June 27-30 also in Saskatoon. 2013 Pilgrimage to Ukraine. 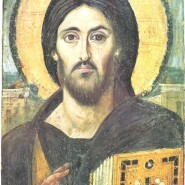 His Beatitude Sviatoslav Invites You To Join Him Kyiv In 2013! His Beatitude our Patriarch Sviatoslav has invited the faithful of the Ukrainian Catholic Church to make a pilgrimage to Kyiv in 2013 to celebrate the 1,025th anniversary of the baptism of Kyivian-Rus, Ukraine! The major celebration will be a special Divine Liturgy on Sunday, August 18 at the Holy Resurrection Sobor in Kyiv. Join Metropolitan Lawrence Huculak (Winnipeg), Bishop David Motiuk (Edmonton), Bishop Ken Nowakowski (New Westminster) and Bishop Bryan Bayda (Saskatoon) on an official pilgrimage to Ukraine from August 7-21. The Pilgrimage will begin in western Ukraine visiting Lviv, Zarvanytsia, and Ternopil before heading out to Kyiv for the major celebrations. In the next few weeks more details will be announced as the program is finalized. Solaway Travel has been commissioned to assist our Church in arranging for our travel plans and accommodations on this pilgrimage. To express your interest in being part of this very exciting pilgrimage with our Bishops please contact: Myrna Arychuk, Solaway Travel, 3819 Sunset Street, Burnaby, BC V5G 1T4, myrna@solawaytravel.com, Tel: 604 430 6789 Fax: 604-430-2244, www.solawaytravel.com. Pope Benedict XVI named Rev. Paul Terrio as Bishop of Saint-Paul. At the time of his appointment, he was President of the Newman Theological College, Edmonton. He succeeds the Most Rev. Luc Bouchard who was appointed Bishop of Trois-Rivières, Quebec, on February 2, 2012. Bishop Bouchard remained Diocesan Administrator of Saint-Paul until his official installation as Bishop of Trois-Rivières on March 26, 2012. Since then, Father Peter Tran has served as the Diocesan Administrator of Saint-Paul. Pastoral Letter by the Commission for Doctrine, Canadian Conference of Catholic Bishops, entitled “The Second Vatican Council: What was it and why is it important today?” This publication coincides with a number of celebrations marking the opening of the Second Vatican Council. Bishop David honoured the request of and ascribed (incardinated) Rev. 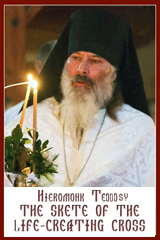 Stephen Wojcichowsky in the Eparchy of Edmonton. Father Stephen continues to serve as Director of the Metropolitan Andrey Sheptytsky Institute of Eastern Christian Studies, Ottawa. Bishop David published a letter of support for the Bridge of Hope – Project “Home of Hope”. “Home of Hope” is an Eparchy of Edmonton sponsored home being built in Lviv, Ukraine for teenage girls who do not qualify for government orphanage-protection services. This home is more than a place for the girls to sleep, but offers friendship, education, faith and hope so that they can achieve their God-given potential. The Most Reverend Roman Danylak, Ukrainian Apostolic Administrator Emeritus of Toronto and Eastern Canada, died on Sunday, October 7, at the age of 82. Born on December 29, 1930, in Toronto, and ordained to the priesthood in Saint Josaphat’s Seminary Chapel in Rome by Archbishop Maxime Hermaniuk, C.Ss.R., on October 13, 1957, Bishop Danylak was ordained to the episcopate in St. Michael’s Cathedral, Toronto, on March 25, 1993. He resigned as Apostolic Administrator in 1998.